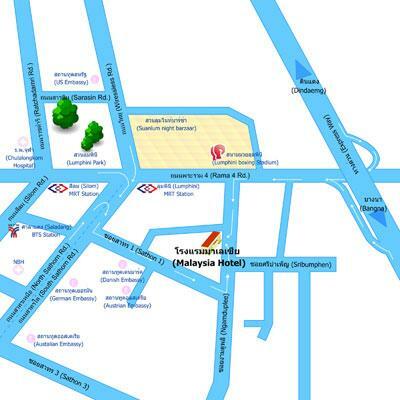 Malaysia Hotel is located in the heart of Bangkok, easy access to Silom and Sathorn areas, within walking distance (10-15 minutes) to Lumpini subway station (MRT), Lumpini Boxing Stadium, and Suanlum Night Bazaar. Banks and several embassies are also in the area. The hotel provides friendly and personalized service which make you feel comfortable as home, an ideal place for maximum service at minimum cost. Attached are a few photos. If you have others, please share the photos and/or your experience at this hotel with us. I have never stayed at the hotel but passed by on many occasions. It is popular with gays and inexpensive. There used to be a group of money boys who would camp out close to the pool, but they seem to have been removed by the management. Not sure if they will return. The walk to Lumphini subway station takes a leisurely 15 minutes. Traffic can often be clogged outside the hotel in the late afternoon rush hours from around 4:00pm to 8:00pm. If Bangkok is the gay capital, Malaysia Hotel is the building that houses the members of the United Nations. 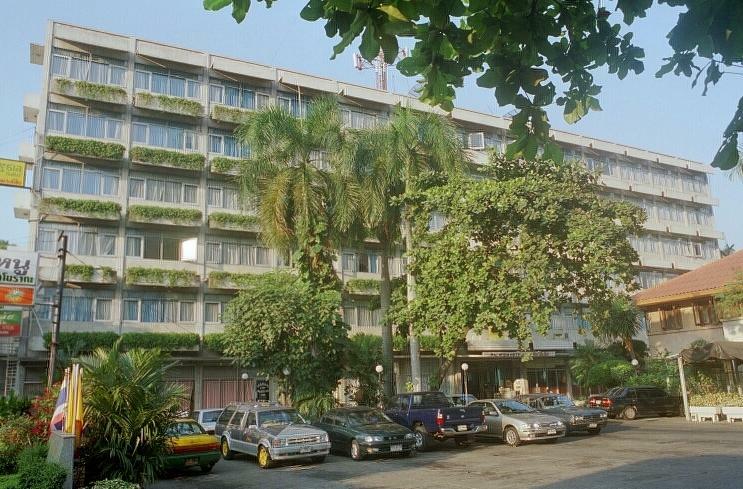 Since travelling to Bangkok as an adult as early as the late 80s, I had stayed (as a hotel guest and/or as a guest of someone who stays there)on numerous occasions. Up to the late 90s, it was the place to stay as it was the most gay-tolerant place to bring a new friend back to your room. Honestly, I have moved on to better hotels now but I still make it a point to drop by this hotel for the most inexpensive massage in Bangkok (of the places I've known). I even get to use (with payment) the swimming pool to tan in my minimal/almost naked gstring. I have made friends with a few of the guests. It is just nice to know who is still alive and kicking... and who had passed on. This hotel is an ICON.... with such colourful history.. There used to be a group of money boys who would camp out close to the pool, but they seem to have been removed by the management. I've never been inside the hotel, but have seen moneyboys outside the front of the hotel. Are they still to be found there, or has Gay Romeo seen that "trade" off too? 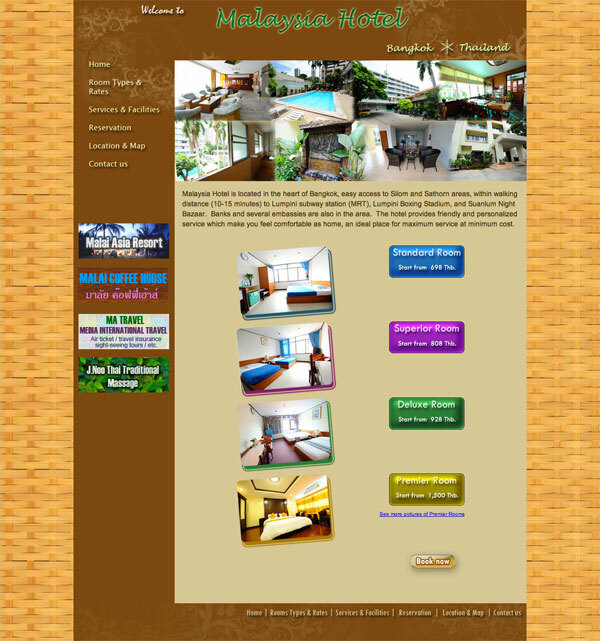 Great value for money, spacious and bright rooms, not fancy but well maintained, even elevator and pool there. Coffee shop open 7/24 and so is internet café beside, access 40 baht / hr . but at their rates they need to make some money on something. No problem with guests and use safety deposit boxes on reception hassle free. Famous moneyboys unfortunately disappeared either chased by management or taken away by GayRomeo. In my 2 day there did not see any other than those with farangs already. To my great grief when my off left at 3 a.m. searched in vain even nearby for replacement to no avail. So at least at the time BYO boy. Couple of good restaurants nearby and quite a few massage places. Taxi to/from Silom area 50-60 baht, motorsai the same. But this is only inconvenience of staying there, easy walk to Lumpini MRT and even easier to Babylon sauna. Staff very helpful and minds own business no matter with whom you are walking in and at what time. Book early if you are planning to stay there as often is full, for November stay booked in early July and Agoda showed very few rooms available already , booking.com had none at the time.